About video: This video demonstrates a free style poem from Rixa White named “An Untold Love“. It contains a romantic themed slideshow that intentionally shows women with hidden faces to project a secret love. About music: The background music is “Sabine” which is a romantic Electronic single track from Silentaria. About poem: The poem is a story of a lover whose beloved died before they can express their emotions to each other. It is inspired by the love between Jean-Christophe and Sabine in Romain Rolland’s novel: Jean-Christophe. You can find the poem at “An Untold Love” poem page. 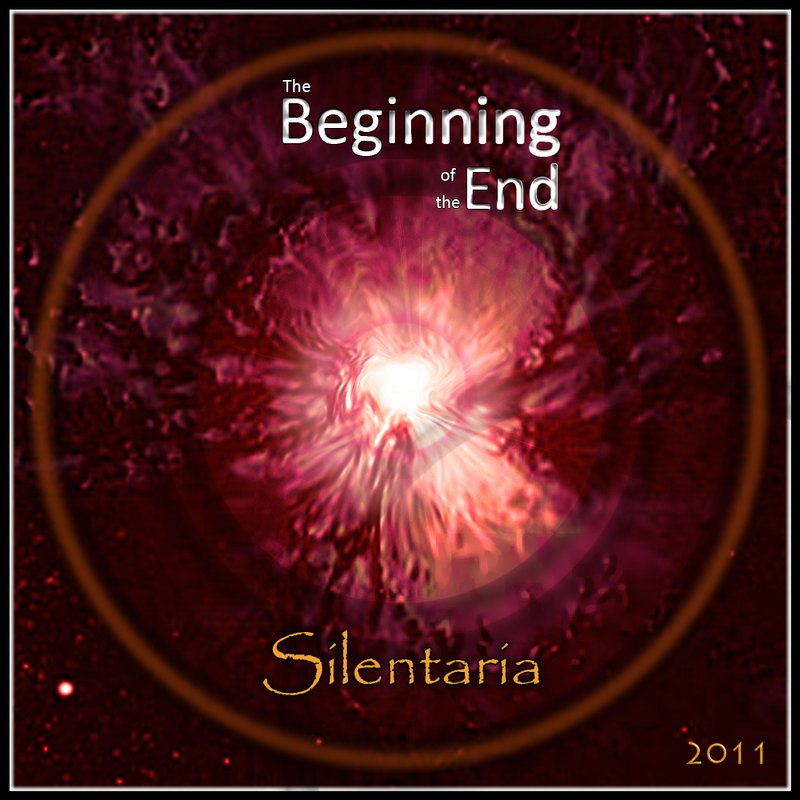 Check out more videos in Silentaria’s Youtube Channel. About video: This video is a short introduction of “Sabine” single track. About music: The background music is the initial part of ”Sabine’ romantic Electronic music track by Silentaria. About video: This video displays a free style poem from Rixa White named “Forgotten Promises”. The main video theme is Christmas with background videos and related photo slideshow. About music: The background music is “Forgotten Promises” which is an Electronic New Age single track from Silentaria. Here is the poem. You can find it at “Forgotten Promises” poem page. About video: This video is about the masks we wear in our daily life and invites the audience to be conscious about them. It might seem impossible to drop all of them, but we always have a chance to know them, eliminate some and choose new ones consciously. About music: The background music is “Diversion” which is the 10th track in “What’s Real?“, the Electronic New Age music album from Silentaria. What if your face is not you? What if your face is just a mask? from a disfigured Erik to The Phantom of the Opera. 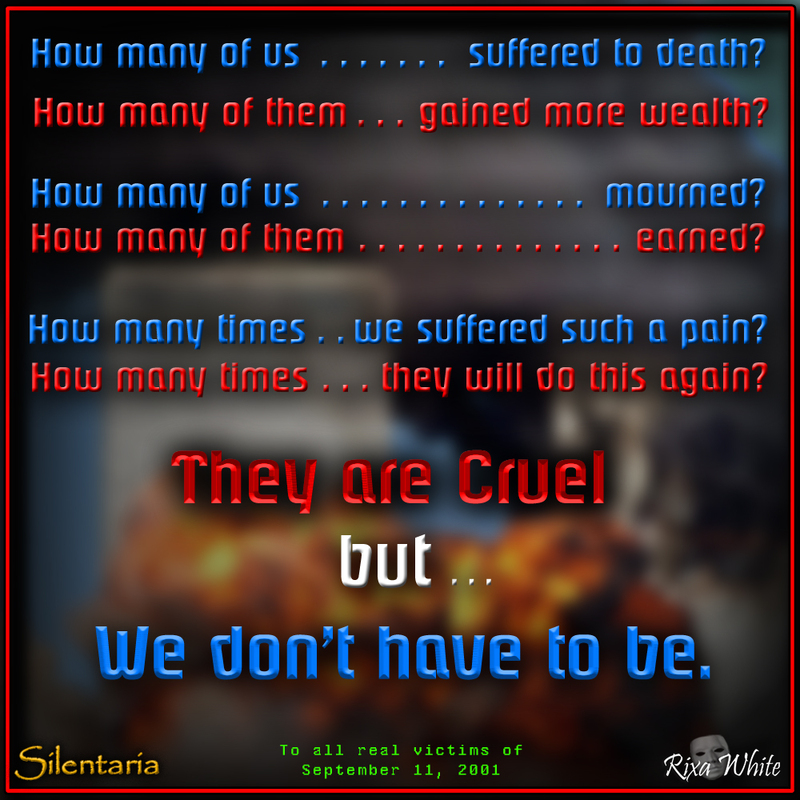 About video: This video represents “They are Cruel“, a haiku-type poem by Rixa White. It has scenes about September 11, 2001 disaster in New York city. A terrorist attack through which two hijacked airplanes crashed and destroyed both WTC towers and killed 3000 innocent lives. 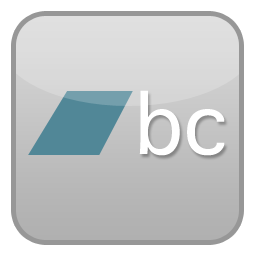 About poem: The poem blames the cruelty of people (them) who earn more power and wealth through others’ sufferings (us). About music: The background music is “Sorrowful Truth” which is the 6th track in Silentaria’s album “What’s Real?“. How many of us suffered to death? How many of them gained more wealth? How many of us mourned? How many of them earned? How many times we suffered such a pain? How many times they will do this again? About video: This video is a dynamic slideshow consists of a series of oceanic landscapes projecting illusive visual atmospheres based on the concept of the track. The above mentioned track’s slogan along with a couple of Rixa White’s poems such as “Drowned in Illusion“, “Everlasting Wander” and “A Slight Change” are displayed in some scenes in this video. 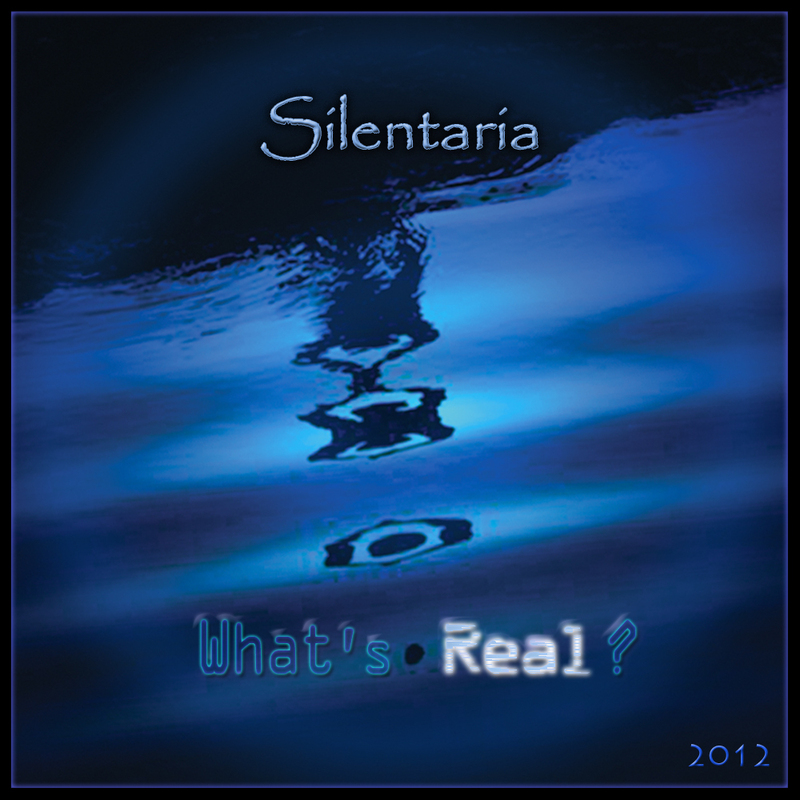 About music: “Oceans of Illusion” is the 3rd track in Silentaria’s album “What’s Real?“.